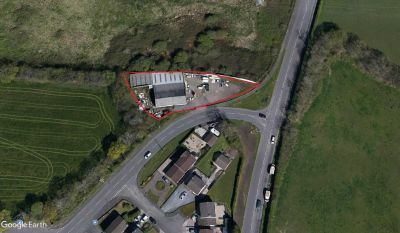 Situated approximately 1 mile from Junction 47 of the M4, with excellent road links, an opportunity to acquire a well- known former factory. The town of Gorseinon is a short distance away, with an excellent range of amenities such as Asda and Aldi Supermarkets, and a range of shops and eateries etc. It is within walking distance of both Penyrheol Primary and Comprehensive schools. Outline Planning Consent has been granted by City and County of Swansea, for the construction of ‘up to’ 5 residential units. Further details on request, or the Planning Application and associated documents can be viewed online by visiting www.swansea.gov.uk - Application No. 2017/2256.